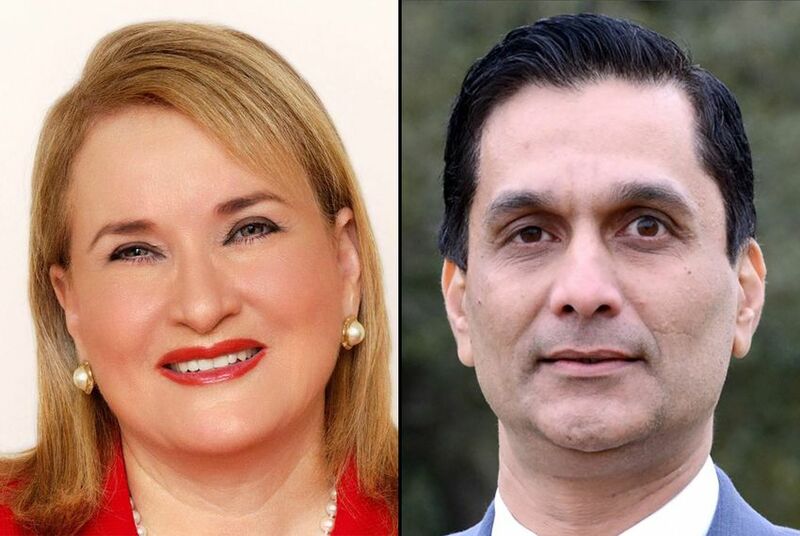 Schumer's support for Tahir Javed, a healthcare executive, is at odds with the local and federal Democratic establishments, who have largely supported state Sen. Sylvia Garcia's bid for the Houston-based congressional seat. * This story has been updated to include comment from Sen. Sylvia Garcia. WASHINGTON – An upstart candidate running to win the seat held by U.S. Rep. Gene Green, D-Houston, has gained a highly visible supporter: U.S. Senate Minority Leader Charles Schumer. Schumer endorsed Tahir Javed, an outspoken healthcare executive, in the Democratic race for Texas' 29th District, Javed's campaign announced Wednesday. In a statement, Schumer said Washington needs leaders like Javed who "think outside the box." "His record as a job creator, healthcare executive, and teacher give him the perfect mix of skills and experience to serve the district and Texas," Schumer said. "He’s been very helpful in electing Democrats across the country, and I am now proud to support him as part of a new generation of leaders we need in Washington." Javed, a longtime Democratic fundraiser, has said he will "spend whatever it takes" to win against six other candidates in the Democratic primary. In the fourth quarter of last year, he reported loaning his campaign $400,000 on top of $201,000 raised from others. Schumer's public support for Javed is at odds with the local and federal Democratic establishment, who have largely endorsed state Sen. Sylvia Garcia's bid for the seat. Garcia's supporters include several members of the Texas delegation, the powerhouse fundraising organization EMILY's List and Green himself, who is retiring after 25 years in office. In a statement, Garcia said she is "honored to have the support of numerous local elected officials," including Green, "who have worked with me over the years and have seen my ability to get things done for our community." "From working to increase access to healthcare, standing for equality and fairness, and fighting for better schools, leaders on the ground know my record and know that I will continue to get things done in Congress," Garcia said. "Thankfully, the Senator from New York won't be able to vote in Texas Congressional District 29." Javed said Wednesday that he is "deeply grateful" for Schumer's endorsement. "We need Democrats to take the majority in both the House and the Senate, and I will continue to support his efforts to elect more Democrats," Javed said in a statement. Javed turned heads last month when he hosted Schumer for a high profile Democratic fundraiser in Houston that raised money for several Democratic incumbents and candidates, including U.S. Rep Beto O'Rourke of El Paso, who is running to unseat Republican U.S. Sen. Ted Cruz. The historical stakes are high for both Garcia and Javed. Garcia would be the first Hispanic woman to serve in Congress from Texas, and the first Hispanic person to represent the Houston area in Congress. Javed would be the first Asian-American from Texas to serve in Congress. A Capitol Hill source tells the Tribune that Schumer's fellow New York colleague, Sen. Kirsten Gillibrand, gave Garcia $5,000 via her Off the Sidelines leadership PAC.